Jonathan Krim has announced his impending departure later this month from The Wall Street Journal. The veteran journalist has served as WSJ’s tech editor and San Francisco bureau chief for over two years, helping to develop the paper’s online tech vertical WSJD. He first joined the WSJ in 2010 as senior deputy managing editor, following several years with The Washington Post and TheStreet. Before that, Krim spent nearly two decades at the San Jose Mercury News, working with investigations and local news, in addition to business and tech coverage. 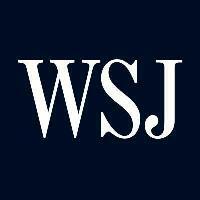 Follow The Wall Street Journal’s tech-focused WSJD on Twitter for tech industry news from around the world. News: I will be leaving @WSJD and the Journal to pursue new things. Very excited but sad to leave a great team.